Offering excellent durability and freedom of movement, the Small Steel Balthasar Spaulders work well as shoulder protection for LARP battles and re-enactments. 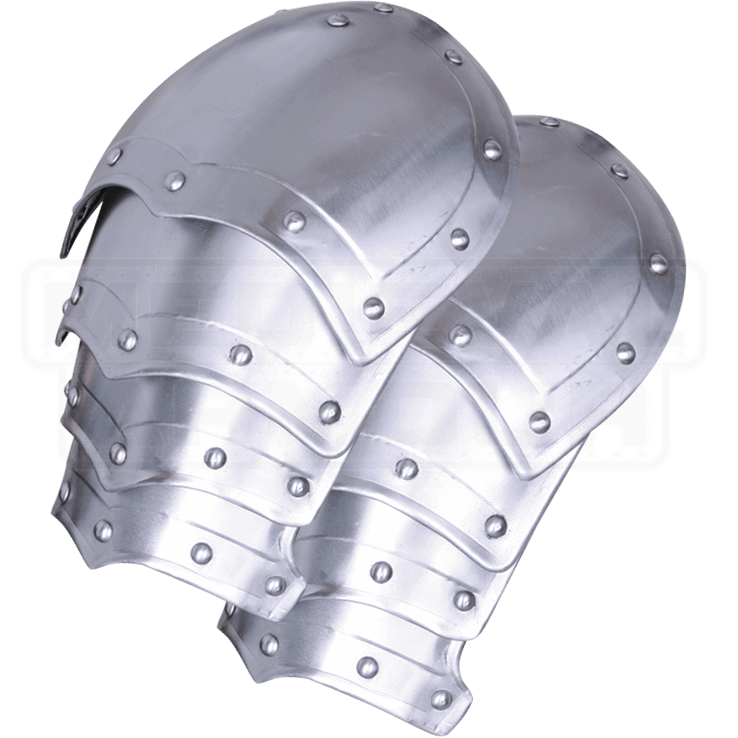 The medieval steel spaulders show off a gleaming bright metal finish. Rivets along the edges add a decorative touch to the design, ensuring that these metal spaulders go great with other pieces of our Balthasar-style armour. The smaller size of the LARP armour makes it a great fit for warriors with smaller builds and adolescents. We recommend wearing the plate shoulder armour with a gambeson or other padded arming wear for increased comfort. We also offer a larger version (MY100060). Please note that this item must be worn with a gorget.